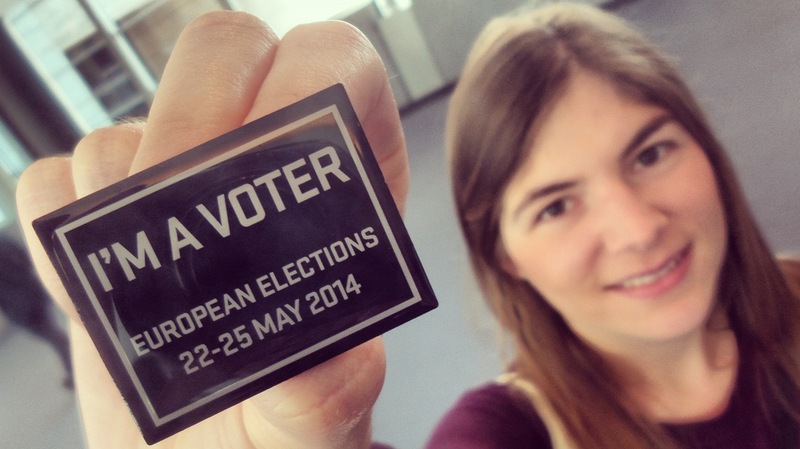 Should voting be compulsory in European elections? The European Parliament has a participation problem. Just 43.9% of voters across the 28 nations of the EU bothered to turn out in the May elections. Even that low number was greeted with some relief in Brussels – it represented a tiny increase after turnout had dropped in every EP election since the first in 1979 – when 61.99% showed up to vote. Voter apathy seems to be highest in central Europe: in Slovakia just 13% voted; next door, 19.5 percent of Czechs cast their votes; and less than a quarter of Slovene or Polish voters showed up. Is it time to boost turnout by introducing mandatory participation in European elections? Is democracy too important to be an optional activity for European citizens? Should voting be a duty as well as just a right? Or is it undemocratic to oblige people to vote? Some EU countries already have compulsory voting. That helped Belgium and Luxembourg top the turnout rankings with 90% in the May election, although in Greece (58.2%) and Cyprus (43.97%) the legal obligation to vote had less effect. Around the would around two-dozen countries have mandatory voting from Australia to North Korea, Brazil to Singapore. What do YOU think? Should politicians engage more with voters to boost interest in elections? Or is mandatory voting the best way to broaden public engagement in politics and tackle surges by fringe parties? Does obligatory participation in elections just produce random votes by disinterested people? Or is pressure needed to tackle voter indifference, even if they simply vote blank once they get to the polling station? Let us know your thoughts and comments in the form below, and we’ll take them to policy-makers and experts for their reactions. Maybe if voting was more in the style of direct democracy rather than voting for people that we don’t know and judge them by the way they look in their suits. Maybe the EU/EC/EP should first wonder and ask themselves: when did we vote to get a Schultz or a Juncker at the head of the EP/EC? Never. very nice……..you’re a voter….you’re a good citizen, you pay your taxes…..what EU done to protect you and promote your interests over Ukraine situation and terrorism in Eastern Europe….. Compulsory is undemocratic itself.The effort must be to persuade citizens it is worthy to vote with shound politics.Today European Parliament is a decorative body away from european citizens interests and companies its true job do not vote. The majority of those who do not participate are not from another planet, but have good reasons not to vote. In Poland only abt 24% went to vote! I have the right to be given all opportunity to vote, but then it is my life and I do what I want. Voting or no voting cause qualms all the same, because when you vote to candidates and parties and see they only have it their way, you just ask: why did I bother to vote? perhaps to a elect a group not another and finally they all have one common factor, how to thicken their pockets. And the situation with regard to the European Parliament is really horrendous and archaic. I did vote, but yes I am now question myself, why did I vote. Maybe out of sympathy of some friends that were contested these elections? What is my country gaining with its presence in this European Parliament, not to say the European Union. Oh to judge me completely i just say I am from Malta and very offended by the way the EU and European Parliament are treating my country when it comes to the problem of influx of illegal immigrants. Why is burden sharing not imposed, to look smart with the big countries of the North? Give us a reason to go to the elections. The majority of europeans are not believing a word to those, who are supposing to representate them – for right. 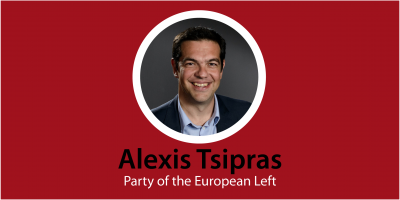 The present tragedy of repartising functions and jobs is another reason to let the eu-elections going on without any participation. However, I was there and gave my vote to those, who I am believing, they could change something. If they would be not reasonable for the next 4 Years, I am going to vote someone else. In case they don’t vote, what would be the fine? money or whipping with leather strings ???? Oh God, medieval time is coming soon, I just hope my country will be out for that time…. I think compulsory voting is a very good idea, but it should come with the possibility of an “abstinence” vote. Also, enabling on-line voting would make it easier for many people to participate in the elections. More duties/obligations ? Have not been elected all of you ?Dictatorship,no thanks. Big question… The creation of a taxe will surely decrease the abstentionism like in Belgium where 95% of people voted. In the same time that will increase credit of populisms. Basically I want let people the choice to vote but I am not totally against a tax against abstentionists. Up to now, I’ve always been against compulsory voting – thinking that if engagement with democracy is not spontaneous it is useless. However, having seen the system at work in Belgium (and voting myself in it) I changed my mind. Lyndon Johnson said, if you have them by the balls, their hearts and minds will follow. Not that I’m suggesting we be quite so invasive with voters. But with the possibility of punishment or fines for not voting, it becomes part of citizen’s daily lives, like enrolling children at school, getting a drivers license etc. A compulsory vote does not necessarily mean an uninformed vote, by the way – if you are compelled to vote, you will probably pay a lot more attention to politics. Citizens voting in elections is essential for a balanced democracy, reflecting all aspects of society. A compulsory vote, once every two years or so is a small price to pay. Expand the voting by adapting new technologies rather than forcing people to participate. Voting from home or your mobile will increase the number of voters and will reduce abstention. Why do countries are reluctant to this idea? Should voting be compulsory in Europe? Only if Europe gives the voter the kind of people and party it wants to vote for. To compel citizens to vote for people and parties they don’t want and could never in conscience contemplate giving them such support, would only lead to people being forced to vote for a Hitler character or policy maker against their wishes. I do believe that the public should use their vote as that is what democracy is all about, but, to force them to accept a political team against their will is akin to Zimbabwe. Please, Debating Europe, ask us questions that intelligent people can seriously answer. And add to this kind of question, ‘would we all prefer Direct Democracy on all issues important to us,’ then, you could add that they should be made to vote in such an instance. Direct Democracy would soon get rid of politicians who have no right to be in any truly accountable parliament. That way we would collectively have the responsibility of running ourselves as all questions posed would be ours to account for, and therefore, yes, we should then be compelled to take up the responsibility of such freedom. @Catherine- well done! my comment once more sits waiting in the sin bin! Noone asked citizens if they want the Maastricht Treaty and introduction of euro or not. There were only three countries were a referendum was organised about the European Constitution. All three voted against it. Then it was accepted as the Treaty of Lisboa with practically the same content – and without any referendum, except tiny Ireland where a one-sided government propaganda brainwashed them into accepting it. EU is anti-democratic enough already and it constantly goes into that direction. So it would be logical if they made even voting compulsory. And pro-USE EU elite is surprised about the low popularity of EU voting and EU institutions and of the “democratic deficit” ot the EU… What a hipocrisy! What’s the utmost important is that the politicians tells the TRUTH and construct for the COMMON GOOD. Otherwise, everything is fucked up ! If your union makes voting in the eu rump elections compulsory …. I would NOT vote. Being a citizen is both a right and a privilege. A citizen should always apply his rights otherwise -low participation e.g- democracy looses orientation and representativity. This should be applicable even more in the …UES. Anytime citizens should be free to vote for blank. Voting should be compulsory, at least then we can be assured of a majority govt. At the moment it’s way to easy for the lunatic fringe to gain seats in govt and influence policy. But in voting, we should also have the right to give a vote of “no confidence”. Eventually we all get the kind of democracy we deserve. A look into the rhetoric of the recently succesful far-right parties across Europe proves that it came to fill the political vacuum created by citizen’s disengagement with politics and public affairs. Their main tenet is the fault of the current political establishment with no elaborate solutions tfuther that ‘cleansing’ of domestic affairs from migrants. On the other hand making voting compulsory wouldn’t bring people back to polling stations. It is only through genuine understanding and consciousness that we can achieve participatory democracy. 1: You can’t force people to vote. 2: You don’t want people who aren’t interested and know practically nothing about the EU to vote. Hitler burn the Reichstag. No need for voting. Yes, I think so. Then everybody would feel resposible for those who are in charge. People in dictatorships fight for democracy- once a democracy, people’s lethargy let politicians abolish it. Strange! The “EU as is”- could be mistaken as a fata morgana- an illusion of a “direct” democracy far distanced from everyone’s local parliament & control! Suggestion: The “local home ballot”- apart from their normal local parties- could just add 3 EU choices like: EU pro, EU skeptic/reform, EU anti. Rendering the existing EU Parliament & EU parties obsolete- searching for & conducting cooperation on a simpler & direct level by the “only willing & cherry pickers”? Doesn’t the 43% EU voter participation reflect a general rejection of the present EU design & dream- as hatched by a few since 1947? 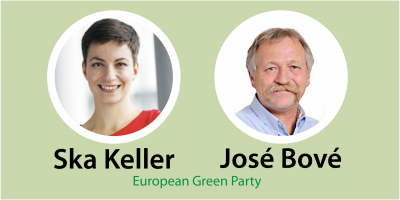 Maybe, all participants on debating Europe could start & indicate when starting their comment- which of the 3 EU choices (aka- only 3 EU parties needed) they support? Expected too much? Just a simple No. Voting should’t be a compulsory. But I sugest some help, stimulation for those who vote. For example some taxe reduction, reduction in paying like difrent type of courses. Yes of course :), it’s need courage to do that, but..good look. Nobody lose, some of them win. It should be compulsory the daily and fully informed of the citizens, how much important for their lives, is voting. And voting not only for representatives, but almost for anything. These days, with such technology, direct democracy isn’t just a dream. It can be a simple process!!! Hmmm i don’t know how direct democracy would work really. I suppose everyone could vote via internet but…hmm…it’s not safe. Yes is too important! ( But if we can trust more in politicians we can vote them, but we dont trust them soo we dont vote them.) 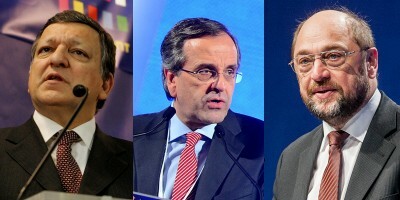 there is a problem with politician , that is why european dont vote. They dont have a good option or they simple dont thing that by voting they will chose the right person. Voting should never be compulsory. It’s a right not a duty. the eec/eu was a lie from the start. If you sign you will show up, it become compulsory in the day of the vote, if not, it’s not. But isn’t it the REAL problem the lack of TRUE OPTIONS? Why aren’t parties able to innovate, come up with RADICAL changes or very very different plans. Why do you think the nuts from UKIP or Front National won? Because they spew hatred? No, because they say “something else” than the old “everything is fine the world is recovering and you will do good if you vote for us”. Not even supposed SOCIALIST parties aren’t what they used to. Hollande is a spineless coward, cowering to corporate and capitalist interest when in reality he should cut their heads left and right with taxes and regulations. I don’t mind if it is compulsory, i always vote. I always vote green but where i live they barely get 2-3% so it’s like i am not voting at all. 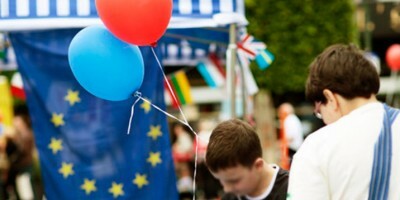 THE MAIN problem with the EU is the lack of campaigns promoting it, the lack of interest to combat anti-EU propaganda. Take youtube for example. Social media is VERY IMPORTANT now. I have seen over 500 ( FIVE HUNDRED ! ) UKIP videos bashing the EU on almost anything you can imagine….and 2 videos debunking such idiocies from any EU officials. The very thought that “simple minded buffoons can’t touch us” is WRONG, these people CAN influence slowly populations. How do you think the UK was brainwashed to hate everything related to the EU? Slow, patient propaganda from Daily Mail and the associated tabloids. Slowly pouring poison, one drop at a time until the fatal dose is reached. The EU needs a better PR campaign. The xenophobic racists in Europe know this. Putin knows this. America knows this. Somehow the EU DOES NOT know this or doesn’t care. The press in most of continental Europe, after receiving incentives, have been doing this on behalf of the EU for decades. And guess what? They abysmally failed! If the EU were to propose a ban on criticism of the Commission you might get one or two dissenting voices in the press but most would jump into line immediately. Most of continental Europe have been browbeaten into submission by this. And the press fear to lose ‘access’ or entry into all those ‘journalist prizes’ the EU likes to promote (which of course have no strings attached whatsoever /sarcasm). The simple question of explaining how the EU works, why don’t they do it? Because it would require them telling the populace at large that democracy is being slowly whittled away and decisions increasingly made behind closed doors by an unelected income-tax-exempt class of mutually appointed politicians. Hmmm, a bit of a DISTORTED view old chap – Plus ça change, plus c’est la même chose. You don’t seem to understand the function of the FOURTH ESTATE in a democratic society – it is to challenge, critique and raise awareness of the POLITICAL ELITE who often succumb to the allure of power and ‘screw’ the demos [if they think they can get away with it], particularly if members of said elite originate from countries that have a poor track record in the practice and continuity of democracy*. * QUICK QUIZ QUESTION: Can you name any Latin country that has had a continuous [representative] democracy for the last 100 years? The vote is an inherent right for all citizens of a free nation. It is an individuals duty and privilege to do so. That being said, people should vote of their own free will and the act of doing so should not be incentivised. Besides, allowing the government the ability to play with laws surrounding the right to vote is just asking for trouble. The world is filled with corrupt politicians, and every single one of them will take advantage of that opportunity. I’ve just watched the EU-financed, pro-EU so-called news channel EURONEWS. Quite bizarrely its failed to mention the 2014 Commonwealth Games in Glasgow, Scotland. It is the biggest sporting even this year after the World cup. A brilliant example of how the EU and its BIASED channel EURONEWS skews the news to promote its own agenda ie ANTI-ANGLO-SAXON. As regards the forum question, cash prizes of c£100,000 should be randomly awarded to c10k net EU contributor country citizens as an incentive/reward/apology for propping up some of the Club Med countries that they have been forced/coerced/deceived to ‘pool’ democracy with. Code of contact –toe the line- or…..
“That depends a good deal on where you want to get to,” said the EC. “I don’t much care where,” said the Citizen. 2. Democracy and compulsory voting do not fit! 4. Democracy does not fit to the totalitarian, bureaucratic, corruption-spreading machinery called “European Union”. A “Union” that imposes rules that erode-degrade the Constitutional Order and Democratic processes in the peripheral member-states (nowadays, debt-enslaved colonies of the Troica) to the benefit of a bunch of international usurers, has no ethical ground regarding DEMOCRACY. As a Greek proverb says: No one talks about rope at a hanged-person’s home”. I reminded commentators of the prevailing debating rules- because constant negative criticism is construed by the EU programmed moderators- as a “campaign” & will be removed! Aren’t people in dictatorships fighting for a democracy- once a democracy, people’s lethargy let a “dictatorial creep” get into its democratic system again? “The EU is a conundrum with its much criticized duplicated voting system! The EU has first to go through a total “re-call” process before such option can be considered for it! I hope, my post will not be classified a campaign once more & will see the daylight! Why should anyone be forced to vote? What will people be forced to do next if they are forced to vote? I vote because I choose to but each person should have the freedom of choice.